HomeGet Free Shipping from Nourishing World! Get Free Shipping from Nourishing World! Since 2008, Nourishing World has offered free shipping on all orders over $20. As of May 1st, the minimum order to qualify for free shipping will now be $30 — still a great deal compared to most online stores! While we hate to make this change, postage costs have continued to rise over the past 8 years, finally driving us to increase the free shipping minimum order amount. 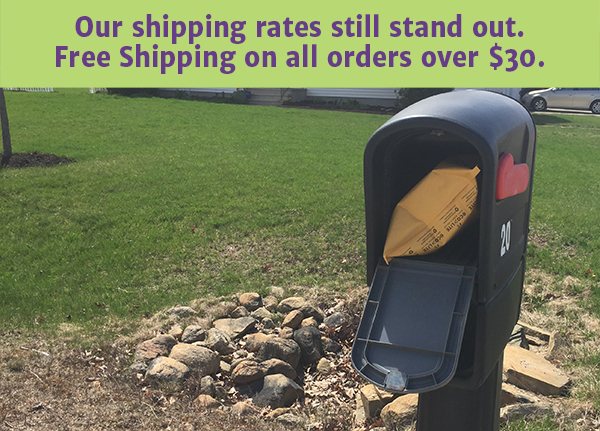 Free shipping minimum order will increase on May 1, 2015. Orders over $30 will qualify for free shipping. 1. Get multiples of your favorite supplements. One for now, one for next month. 2. Order fresh bottles of non-toxic sunscreen and bug spray. 3. Stock up on supplies for your natural first aid kit.